There are a handful of dishes I make that when my kids walk into the kitchen, their eyes light up. One of those is baked potatoes. 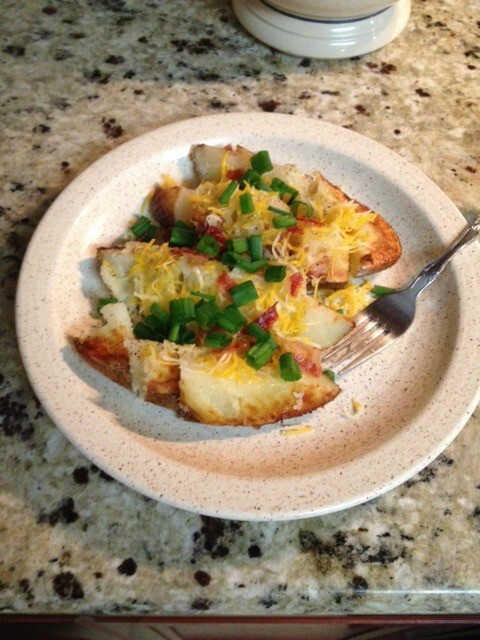 Which is awesome because they are incredibly easy to make and I can also serve a salad, which makes me feel a little better about what I top those potatoes with. A little better. I never bake them whole any more. I cut them in half, give them a little olive oil and salt bath, turn the oven to 400 degrees F and bake them for 30 minutes. Yummiest. potatoes. ever. Am I the only one who just learned how to do it this way? 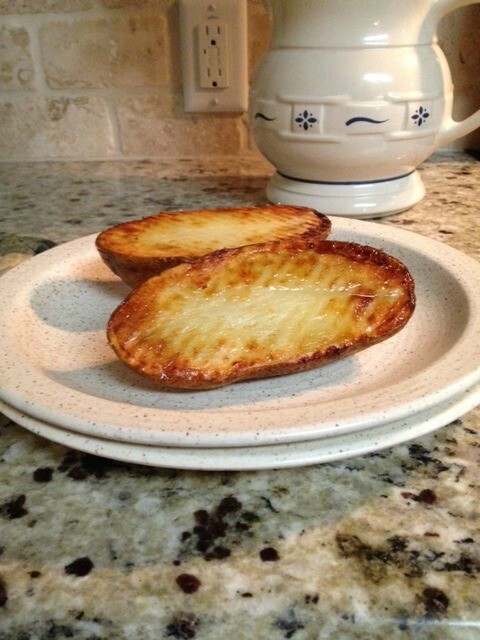 For those of you who have never baked your potatoes this way, let me break it down for you. 1. Pre-heat oven to 400 degrees F. Wash those potatoes. 2. Cut them in half length wise. 3. 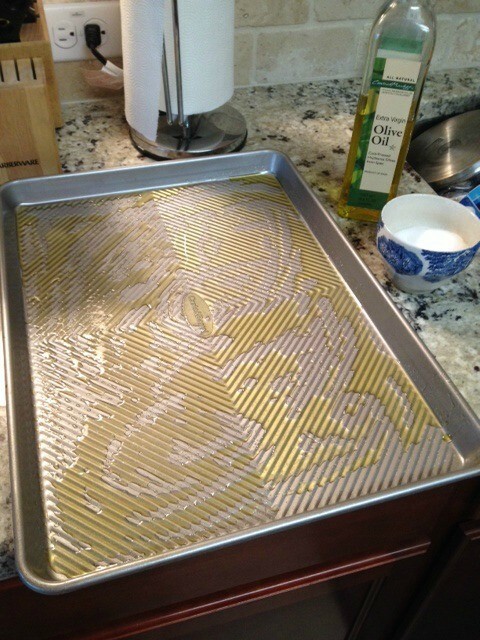 Sprinkle some olive oil and salt on a cookie sheet. 4. 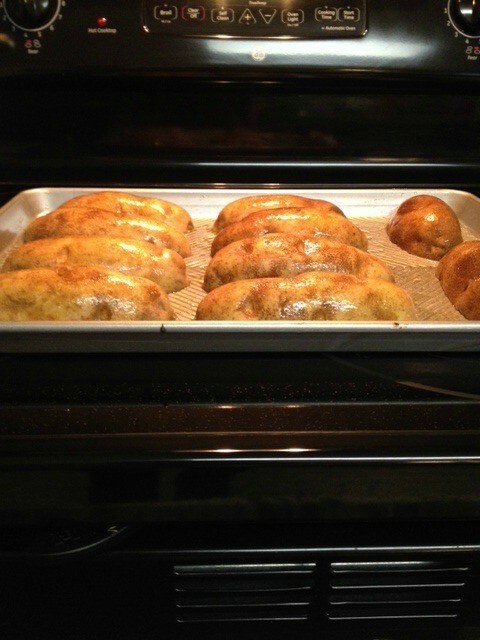 Rub some of the olive oil/salt mixture on the skin side and place the potatoes cut side down on the baking sheet. 5. Bake in a pre-heated 400 degree oven for 30 to 40 minutes. 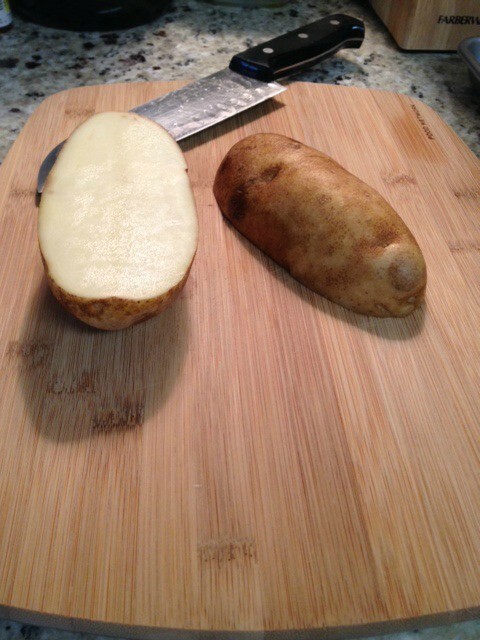 Because of the amazing Crate and Barrel cookie sheet my mom purchased me for Christmas, my potatoes now come out like this. YUM. 6. Top with whatever your heart desires. 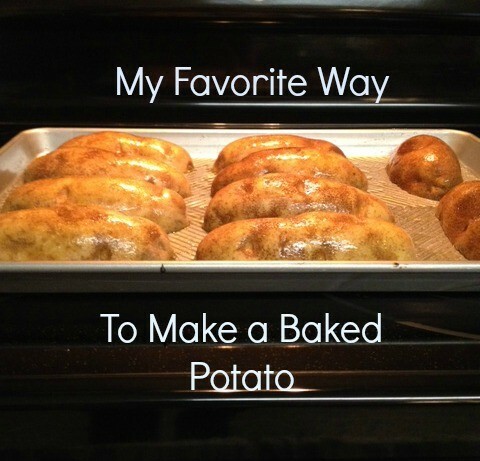 What’s your favorite way to bake a potato? Previous articleMaggy London: The Illusion Dress – Oh the Possibilities!